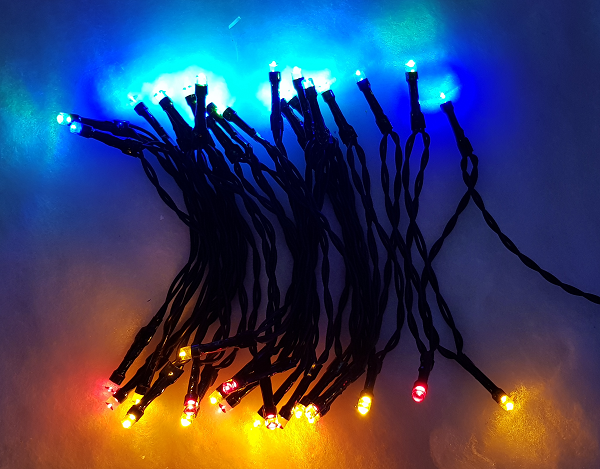 Battery powered LED Christmas Lights, requires 3x AA Batteries. 8 Function controller! You choose how you want them to flash. Inbuilt timer on the battery pack, turns itself off after 5 hours! 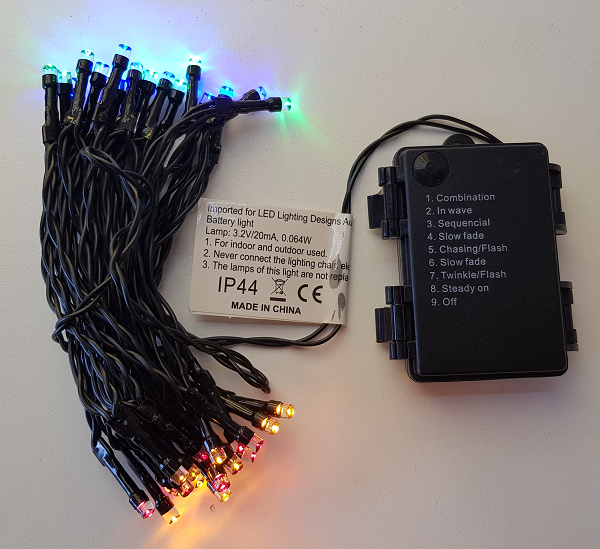 5m lighted length and 1m lead to the battery pack.